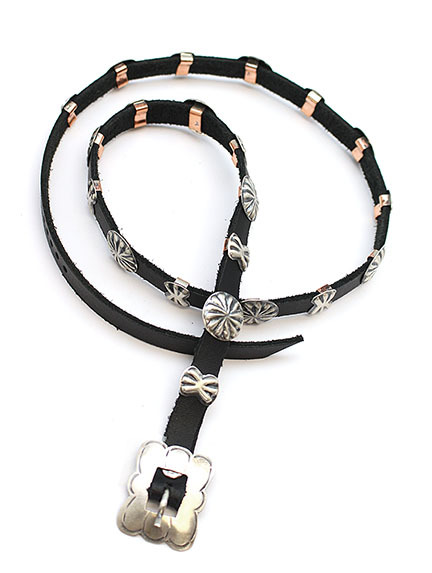 This hat band is made with hand stamped button style conchos and butterflies that are satin finished. It has 21 conchos plus the buckle. Round conchos measure about 5/8" diameter and the butterflies measure just over 1/2" long by 3/8' wide. Leather measures approximately 28" long and has 5 pre punched holes, but room to add more if needed. It is hand crafted by Navajo artisan Ryan Begay.